It must be possible to find a universal power that enables matter and spirit to coexist and that makes them cooperate to establish a flourishing growth in nature. Experiments with particle acceleration proved the existence of many particles that construct matter. Surprisingly, these experiments also showed antimatter being formed and then being destroyed almost immediately. The idea that matter carries antimatter that can only be released at extremely high speeds is a fundamental one. So, it is equally a rather interesting observation that matter and antimatter coexist at different levels without destroying each other. Which factor ensures they do not destroy each other in a tiny space? Nuclear energy stabilizes and organises atoms and molecules. See evidence part 1 and 2 in my book. To the human thinking mind, the spirit is an important factor, strongly influencing the lives of large groups of people. It manifests itself on a large and extensive scale and has obvious and clear consequences. It is only in science that the existence of this factor is difficult to prove in facts and figures. The spirit cannot be fathomed in laws and figures, but still is unmistakably there. 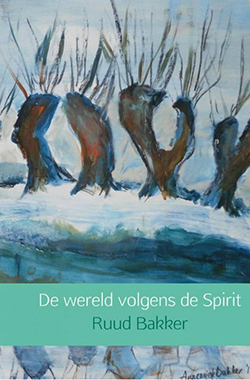 Consequently, the spirit is dismissed as being part of mystique, metaphysics and faith. The spirit manifesting itself in matter does not suit the language of science, while many scientists have difficulty to reconcile un measurable but still perceptible issues within their frame of thought. See evidence part 1 – 4. They suspect there is some kind of interaction between matter and spirit, but they cannot capture it in figures. Often it is then denied and denounced for the sake of professional code of conduct. My thesis is that matter – spirit – antimatter form a trinity. 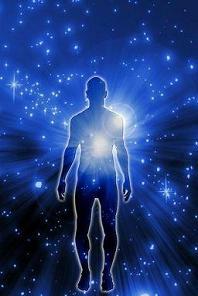 In addition to the known fundamental forces, the spirit organises and structures matter. See evidence part 1 – 8 in my book. The antithesis between matter and antimatter would cause a fundamental instability of matter, which could never serve as a fundament for organic and inorganic evolution. The synthesis between matter and spirit provides structure, stability and organisation. The spirit ensures that antimatter does not behave in a destructive way. See evidence part 1 – 3 in my book. Perfectly symmetrical, the spirit forms a buffer between matter and antimatter. See evidence part 1. In our universe matter predominates over the minority of antimatter. In other structures I assume the opposite is the case. The big bang was an explosion of matter, antimatter and the conjoining spirit, all too close together to be able to coexist within a singularity. Influenced by gravity and the spirit the universe then expanded and matter evolved in large clusters of stars, planets and galaxies. The spirit’s function in the trinity is to impose order and to encourage evolution. It monitors progress in such a way that would be impossible if it were only conducted by an antithesis between matter and antimatter. Progress follows a direction that equals time. The opposing force that would be the result of the struggle between matter and antimatter is directed towards progress by the spirit. See evidence part 1 – 4 in my book. This progress covers a period of millions of years, during which the universe was shaped and organic forms of intelligent life originated in some parts of it. The preconditions of progress are unique and universal. Various physical constants and laws apply to the entire immeasurable universe. These physical constants and laws cannot exist without the stabilizing force of the spirit. A perfect symmetry of matter – spirit – antimatter ( see evidence part 1 ) is the underlying principle of nature and the universe. A strictly scientific approach to various fields of research led humanity to experience enormous technological and economic progress. The origins of life on earth and of the universe are intriguing questions. Many theories have been composed to explain these fundamental questions. The most widely accepted theory of the origins of the universe is the big bang theory. The fundamental forces, symmetries and physical constants resulting from the big bang miraculously took their places and got their values.See evidence part 1 – 4 . Miraculously indeed, for any minute deviation would have caused a completely different kind of evolution, not resulting in the organic and intelligent life as we know it. This equilibrium of fundamental forces, constants and laws is so sophisticated and perfect that many attribute it to a creator. It would have to be a super-intelligent and wise being to be able to create such perfection all at once. I hold a more nuanced opinion. See evidence part 4 and 8 . The situation before or immediately before the big bang is unclear. Original matter and antimatter were brought together in one place where natural laws as we know them did not apply because of the extreme temperatures, pressure and mass of the exploded singularity. Very quickly after the actual big bang the first signs of order and organisation brought about by fundamental forces were there. The time scale began, as well as the evolution of the universe. To most people what happened before the big bang and in the singularity is a mystery. I like to think that the phenomenon of spirit/awareness played an essential part here. It manifests itself as memory and an ordering entity. Before the big bang various big bangs took place which did not result in the desired equilibrium. The applicable natural laws and constants were not attuned well enough to shape evolution. See evidence 1 – 4. This unbalanced situation caused a singularity to collapse. The spirit learned from this and tuned the mix of values and forces to make a new start. But what actually caused the big bang is an essential question. The symmetry between matter and antimatter is basically a mirror symmetry with highly in stable relations. See evidence part 3 in my book. The spirit ensured that this society, existing at such a compact space under such extreme temperatures, had a lifespan in between the different big bangs. The spirit is bound by space nor time, but is as elementary and fundamentally present like most elementary components of matter and their relations. As it were, the spirit is a cocoon of all matter. See evidence part 1 – 4. This cocoon transfers information, order and stability. Simultaneously it acts like a protective layer between matter and antimatter, which prevents them from destroying each other. In the course of several big bangs, this equilibrium has shifted in the favor of matter. In due course, the lost antimatter became the source that disrupted the frail equilibrium between matter – spirit – antimatter and, consequently, became the source of the big bang itself. See evidence part 1 and 4. The spirit is just as fundamental an element as matter. It is not a phenomenon that only applies here, on earth. Sciences of elementary physics and astronomy try to explain everything while excluding the spirit. They have successfully composed reliable and verifiable models. They try to obtain the holy grail of unification of all fundamental forces. See chapter 34 in my book. The boundaries of what can be known and measured have a mysterious attraction for physicists. 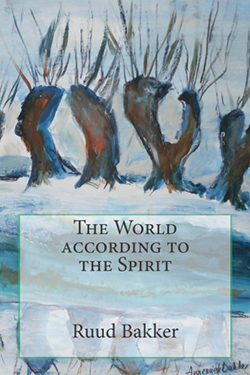 Various attempts have been made to provide a universal explanation of the spirit and the material world. This search resulted in quite some curious concepts, that have been dismissed because they did not meet the axioms of purely scientific theories. Many spiritual movements thank their existence to the space where physics and metaphysics meet, offering even the most exotic East-West parallels. All these attempts, however ambitious they may have been, always get stuck at the most fundamental questions of being. What is the origin and the meaning of life? See chapter 12 . In this book I will further elaborate on the fundamental principle of the spirit, the spirit as a universal memory and information carrier and the spirit as a catalyst for evolution. The basic train of thought is simple: the power of truth lies hidden in its simplicity. See evidence 1 – 8 in my book.